We rarely think about how to prepare for a disaster since we think such situations are too rare. Yet you don’t want to wait until a disaster has struck to look for resources — when there will be none. The more expected disasters could include anything from a devastating tornado to an explosion. However, you shouldn’t rule out the disasters that seem impossible, like war at home or another apocalyptic-type situation. If a financial disaster strikes, money won’t help you much. A financial disaster could happen as a result of an economic meltdown or it could be the result of another disaster, such as war. In such situations, money will lose its value. It may even lose all value. Gold, however, does not lose its value. It has retained value even in the worst historical situations and even when paper currency was nearly worthless. If you want to ensure your financial liquidity in a crisis, you need to buy silver and gold now to have a large supply on hand. You can buy silver eagles, gold coins, bullion, bars and more. Even minor natural disasters can take out the electricity for weeks, leaving you without heating or cooling, hot water, a means to cook, refrigeration and lighting. A major disaster could leave you without electricity for months or longer. You’ll need to take steps now to ensure you have the power you need. You can explore options like backup generators or even solar panels. If you choose a backup generator, you’ll need to get something that can power your whole home. You can also invest in systems that are powered on propane or gasoline. Such systems are used in campers and RVs, and they can provide emergency services during a disaster. You can also buy a simple wood stove and stock up on basics like candles. Unfortunately, the reality is that not everyone will come together to help each other during a disaster. In fact, many will try to take advantage of the situation to steal or to commit violent crimes. You need to have protection for yourself and your family. Take the time to learn how to defend yourself. Take a self-defense class or learn how to use a gun. Buy weapons like a knife, a shotgun or a handgun. Make sure you are comfortable with whatever form of self-defense you choose, and prepare yourself for any eventuality — no matter how unpleasant it may be to think about. 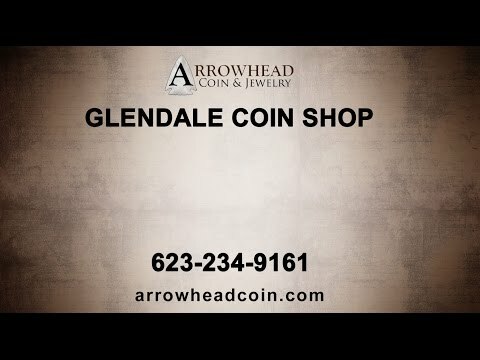 At Arrowhead Coin & Jewelry, we can’t help you with self-defense or energy needs, but we can help you prepare yourself financially for a potential disaster. We buy silver and gold and maintain a large selection of jewelry, coins, bullion and bars. We buy Arizona silver eagles, gold eagles, and other popular kinds of precious metal currency and commodities. You can buy a variety of gold and silver to diversify your portfolio to prepare for your financial future, whether you encounter a disaster or not. Stop by our North Phoenix shop today to learn more about your options. You’ll feel more secure about your future, knowing that you are prepared for any eventuality.